THE DISCLOSURES TRIBUNAL has accepted the evidence of RTÉ journalist Paul Reynolds that no one in Garda Headquarters was influencing his broadcasts. The Tribunal’s lengthy final report, which was published today, found that there was a “campaign of calumny” against McCabe by former Garda Commissioner Martin Callinan, that was “actively aided” by press officer Superintendent David Taylor. The Tribunal also examined another term of reference which asked it to investigate whether Nóirín O’Sullivan, using briefing material prepared in Garda Headquarters, influenced or attempted to influence broadcasts on RTÉ on 9 May 2016, purporting to be a leaked account of the unpublished O’Higgins Commission Report. The official report of the O’Higgins Commission was delivered to the Minister for Justice on 25 April 2016. While the report wasn’t officially published until 11 May 2016, a series of broadcasts on the leaked report aired on RTÉ television and radio on 9 May 2016. Reynolds had got his hands on a number of leaked copies of the O’Higgins Commission report, an inquiry which looked into claims from Maurice McCabe concerning garda failures and corruption, primarily in the Cavan-Monaghan district. The O’Higgins report upheld a number of McCabe’s complaints, but did not uphold the most serious ones that five senior gardaí – including Callinan – were corrupt. Reynolds reported a number of times that day, both on RTÉ radio and TV. Excerpts of his radio appearances, and the TV broadcasts were played at the Disclosures Tribunal. During the Tribunal, Reynolds strongly defended a number of broadcasts he appeared on, and said that they weren’t unfair to Maurice McCabe. Appearing for a second day at Dublin Castle back in June, the crime correspondent said that his reporting on the leaked copy of a report commissioned by the government went through the “full rigours” of the RTÉ editorial process with an emphasis on not appearing biased towards either McCabe or the senior gardaí. Reynolds denied that there had been any influence from Garda Headquarters or O’Sullivan over the broadcasts. O’Sullivan also told the Tribunal that she “never sought to influence RTÉ in relation to their coverage of anything at all, but specifically in relation to the O’Higgins Report”. A detailed report on Paul Reynolds’ second-day appearance at the Disclosures Tribunal can be read here. In its latest report published today, the Disclosures Tribunal accepted the evidence of Reynolds that no one in Garda Headquarters was influencing his broadcasts. “He was not under the direction of Garda Headquarters and he went about his job as an intelligent and independent reporter. In no sense was he a tool of the higher echelons of Garda Headquarters,” it said. 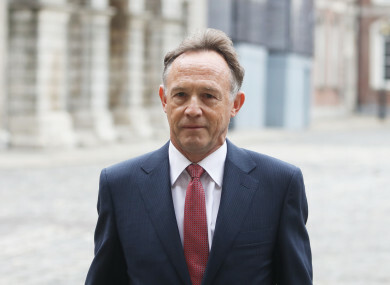 Much of the questioning of Paul Reynolds at the Tribunal related to the reference to Maurice McCabe being directed to cooperate with the O’Mahoney inquiry, and while an inference was floated by implication that this and the tone of the broadcasts of 9 May 2016 showed a continual influence on RTÉ by Garda Headquarters, the tribunal does not accept that. This is a matter of opinion only, not something from which a negative inference could be taken. With the same material, perhaps another broadcaster would have concentrated more on how bad policing investigations were in Cavan/Monaghan, perhaps not. Perhaps the story might have been more about the issues and not about the personality of Maurice McCabe, perhaps not. That is not the point. On which would be better or not, the Tribunal does not comment. It continued to note that Reynolds “gave honest evidence to the Tribunal and he was entitled to his view on the O’Higgins Commission upon his examination of a leaked copy of the report”. Email “Disclosures Tribunal accepts no one in Garda HQ influenced Paul Reynolds' broadcasts”. Feedback on “Disclosures Tribunal accepts no one in Garda HQ influenced Paul Reynolds' broadcasts”.